Clemson Lacrosse released their new uniforms that they will hit the field in Friday for their top-20 showdown against South Carolina. The orange jerseys will feature the Clemson stripe on either one of the sleeves with Clemson in block letters across the chest. The jersey will be paired with an orange helmet and white shorts to complete the look. The Premier Lacrosse League has announced that adidas will become the official athletic footwear and apparel brand for the league, which is set to debut later this year. As the official sponsor of the PLL, adidas will design and create all official on-field PLL apparel for players and coaches as well as all footwear. To kick off the inaugural season, adidas will also create brand activations at local tentpole experiences throughout the PLL’s inaugural season, including Opening Weekend, the All-Star Game and the league Championship. The Syracuse Lacrosse team introduced their retro uniforms for the 2019 season. The look starts with a blue helmet that features a S design on the sides. 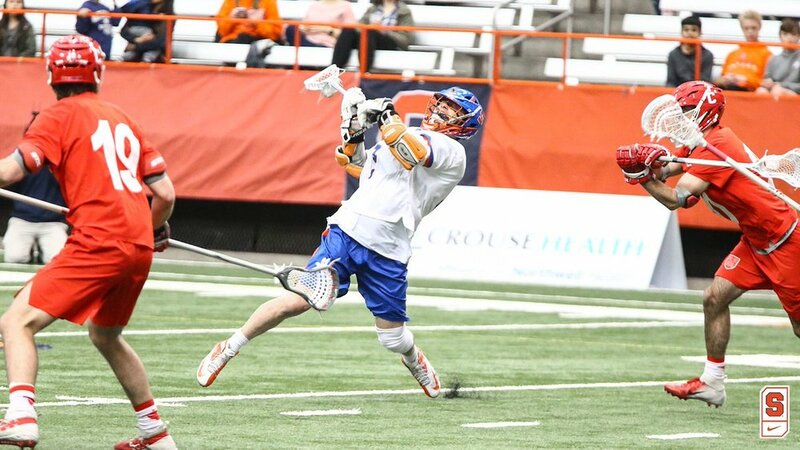 The retro jerseys is highlighted by a block Syracuse across the chest with the retro SU lock up on the sleeves. The team will finish off the look with blue shorts. 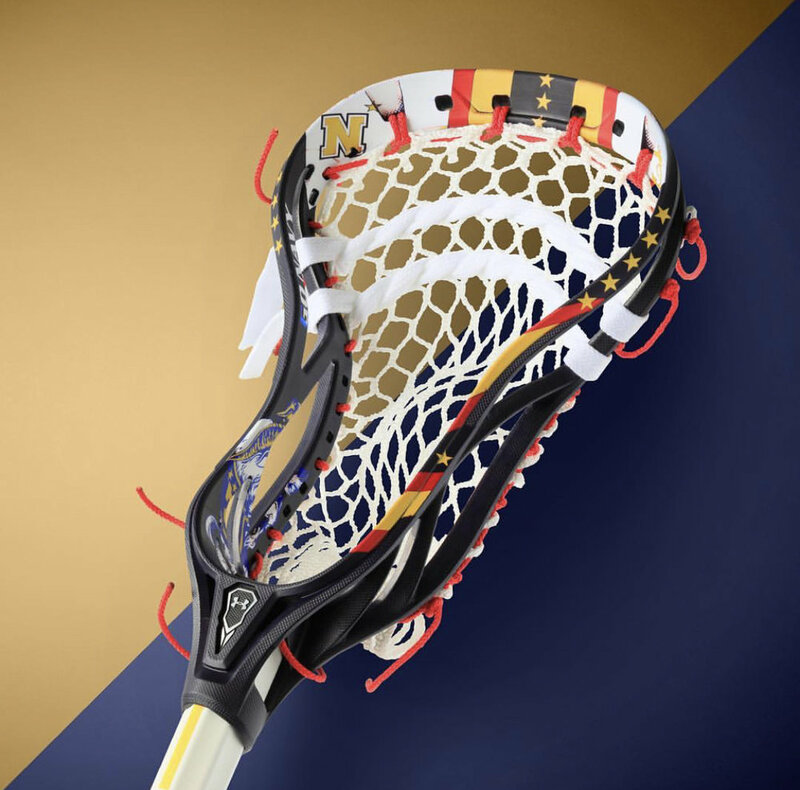 Army and Navy will meet for the 100th time between these two teams on the Lacrosse Field. For the special occasion Navy is going with a retro mesh jersey to amplify the history of this matchup. The jersey will feature a stencil font to give a military effect to the text. On the left chest of the jersey will be a 100th shield that draws inspiration from both the Army and Navy teams. The Swords originate from the black knights logo, while the arches are meant to resemble the Navy-Marine Corps Memorial Stadium, with the North Star, from Navy's logo, in the main entrance. 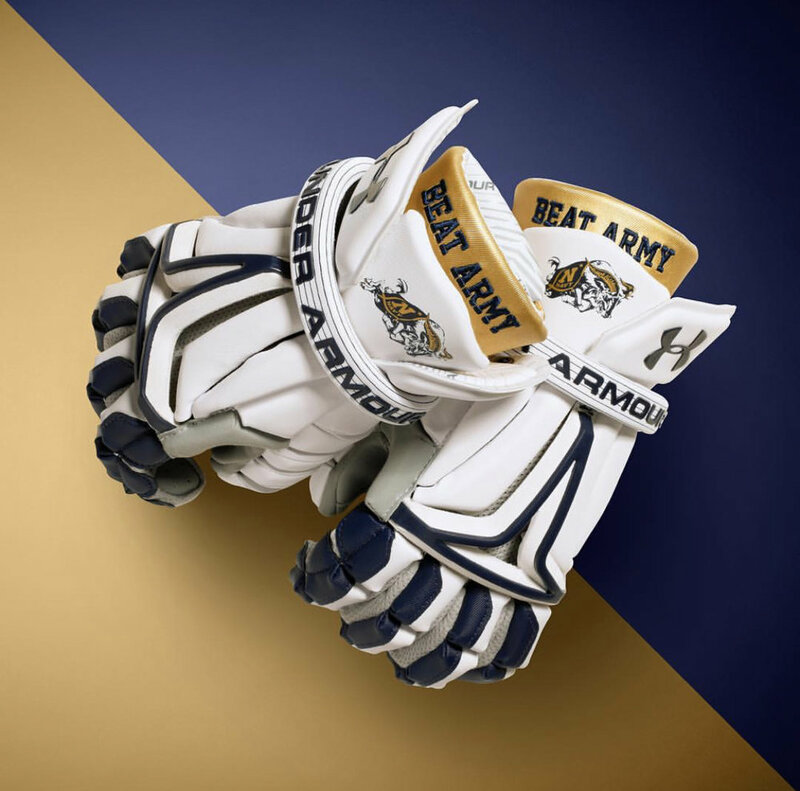 To finish off the look Under Armour provided Navy with custom Bio Fit Gloves with Beat Army on them and the cleats will honor the 37th version of “Bill the Goat” in roman numeral. 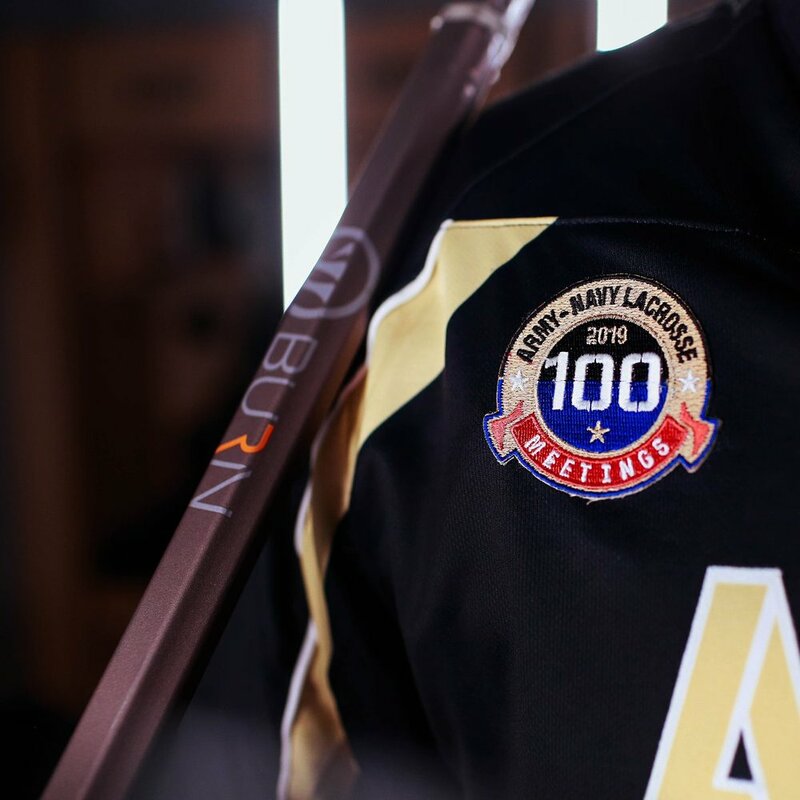 See the Special uniforms for Army Lacrosse Here. 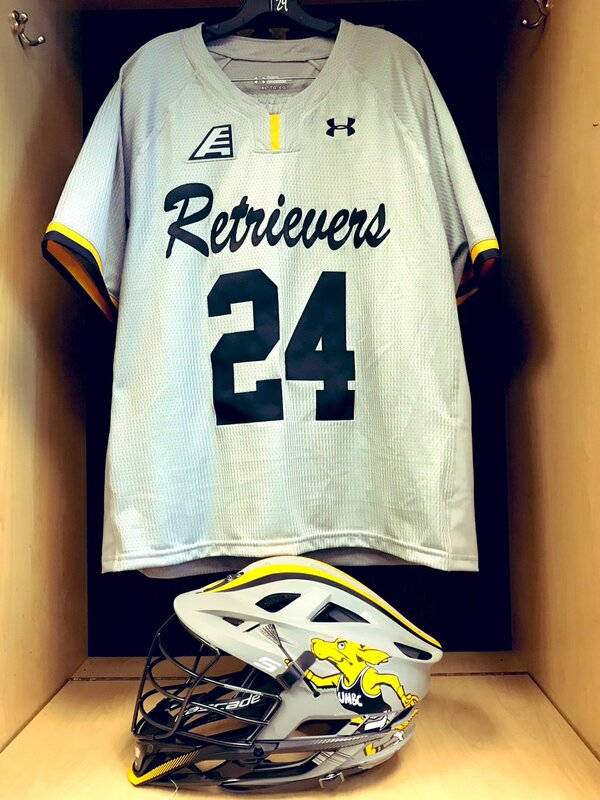 The UMBC Retrievers lacrosse team is dusting off the retro logo and bringing it back for the 2019 season. The team recently revealed their grey helmets that will feature the retro retrievers logo on either side. The helmets will be paired with a grey jersey and shorts combo that feature Retrievers in script across the front along with black and yellow accent striping found throughout. Denver lacrosse is set to debut black jerseys when they take on Princeton. This will be the first time in 10 season that the Pioneers will hit the field in a black jersey paired with black shorts and crimson helmets. Hofstra will have their annual Military Appreciation game and in honor of the special game the lacrosse team will hit the field in some gear appropriate for the occasion. The Pride will rock the new Warrior Burn helmet in an all white shell with red, white and blue decals. The sides of the helmet will feature the Hofstra H with an American flag patter within. Located on the backs of the helmets will be the seals of the different military branches. To go along with the helmet Hofstra will also get the matching gloves to finish off the look. 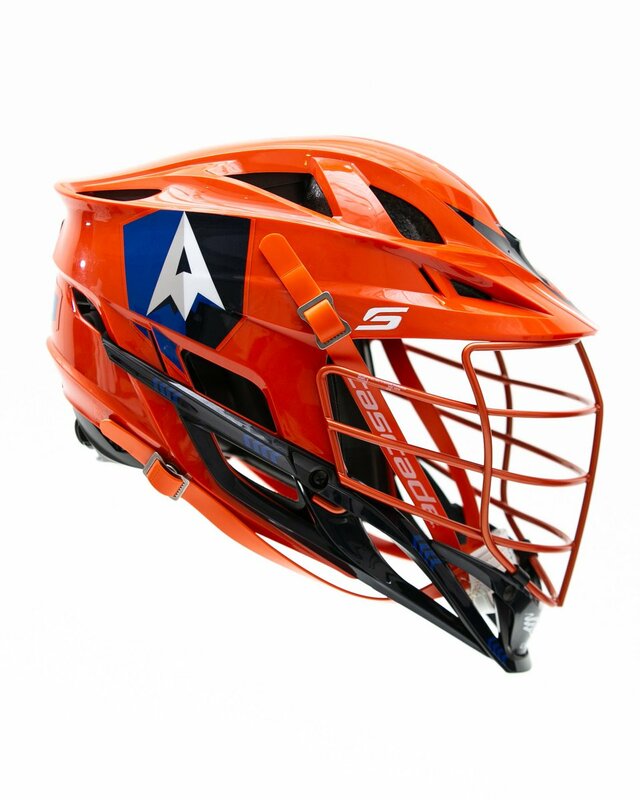 The newest Professional Lacrosse League the Premier Lacrosse League has released a concept helmet design for each team for the upcoming season. 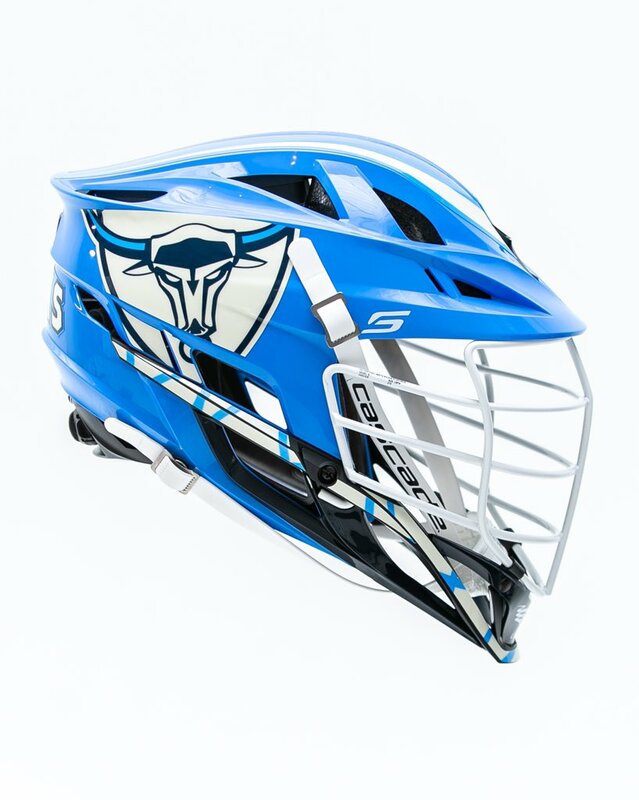 The League has officially partnered with Cascade and they will design and produce two custom helmets for each team, establishing a new brand identity for the six lacrosse clubs. Denver has introduced their new helmets for the 2019 season. Warrior will give the Pioneers first crack at their new helmet designed dubbed the Burn. The crimson helmet will feature the DU logos on the sides with the mountain range decal on the back. The team will also have a white option that feature the Denver wordmark on both sides. We will continue to update as more lacrosse teams release their 2019 uniforms.